What Ever Happened to Stretching? 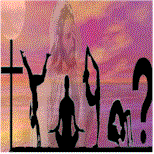 By way of the new age movement, a more subtle form of eastern mysticism has crept into the church under the guise of “Christian Yoga.” However, this activity is more than just a mystical, spiritual practice; it is completely rooted in the pagan religion of Hinduism itself. The New Apostolic Reformation is a heretical movement that has captivated the minds of many unsuspecting believers. This movement and its 7 Mountain Mandate has been very enticing to Christians who hold to the idea that the church's role is to "take back" dominion of the earth from Satan in order for Jesus Christ to return. 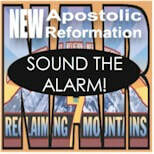 In my previous post I mentioned that the New Apostolic Reformation, otherwise known as the NAR, is a rapidly growing movement in evangelicalism of which Christians should be aware and alarmed. The NAR adherents are also known as Dominionists and this movement’s “theology,” if you will, can be referred to as Dominionism. 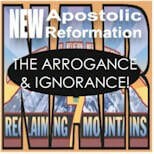 The New Apostolic Reformation (NAR) is a loosely organized, dangerous and rapidly growing movement that is capturing the minds of many conservative Christians who have been enticed with the idea of “saving” America though Christian activism - by assuring that Christians are placed in influential parts of culture in order that that part of society might be "taken back" for Christ.